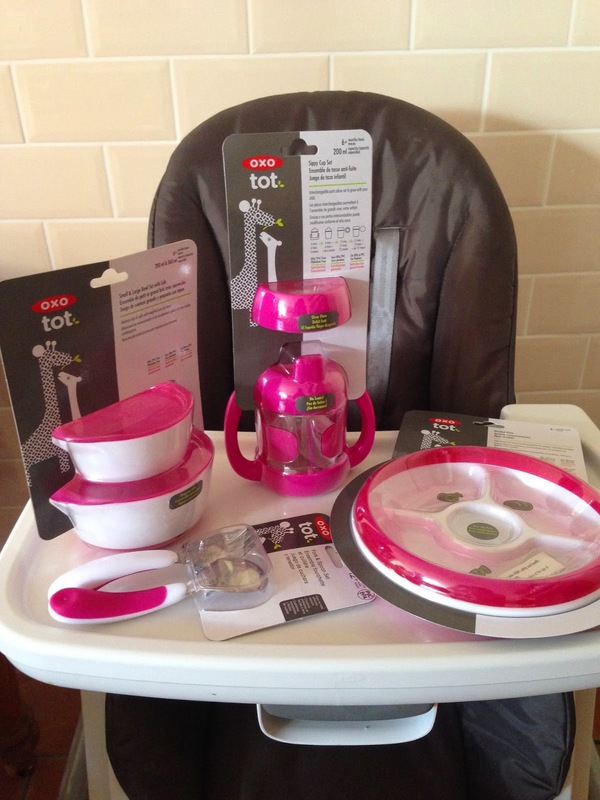 Earlier in the month we were asked to review the new OXO Tot Seedling highchair. I'm a big fan of all things OXO already (they sell all manner of kitchen utensils - most of which I already own - and some of the best kiddie training cutlery and 'crockery' I've used with the girls, and which I've reviewed in the past here) so I was really interested to see what such a big piece of their baby paraphernalia would be like. My very first thought, as I pulled the chair from it's box, was 'WOW, this highchair is HUGE' (and unfortunately not in a good way). Our house is pretty tiny and our eat-in kitchen is crammed to the rafters with freestanding furniture already so I panicked that it wouldn't actually fit in the room at all. The size of the seat was great though, as Evie is a complete chunk (34lbs at 20months) and the padded cushions made it look super comfy. It was very easy to put together (I followed the instructions and managed it myself, no problem) and I worked out how to adjust the height and the tray, and recline the seat straight away (without looking at the instructions - check me out!). The cushions on the seat are wipe clean (although they do pop off for a proper deep clean too) and there are two levels to the tray, the top of which is dishwasher safe. 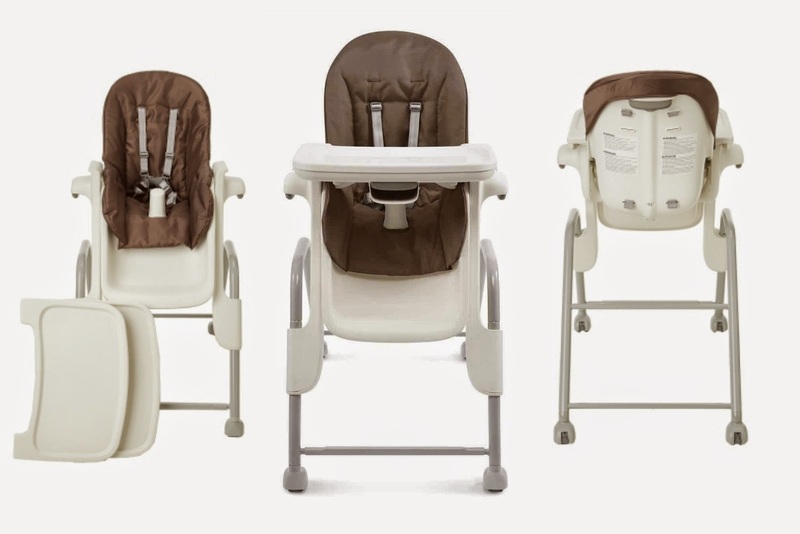 The chair also has lockable wheels which are great to help move what is quite a bulky highchair, although we don't have the floorspace to utilise this feature properly. I absolutely LOVE the fact that this seat reclines. Those of you that read the blog regularly, or follow me on Twitter, will know that Evie just DOES NOT NAP. 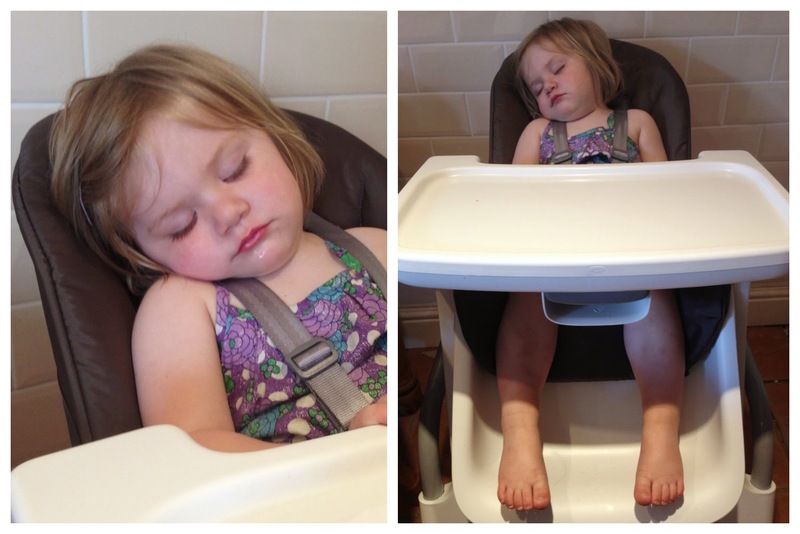 The only time she ever falls asleep during the day is in her highchair after a meal (just like her mama - nothing beats a wee doze after a big meal!). In past high chairs she hasn't been even remotely comfortable but in the Seedling she's had some fabulous sleeps (one was even an hour long!) and I genuinely believe that getting her to nap during the day has helped her night-time sleeping patterns too. 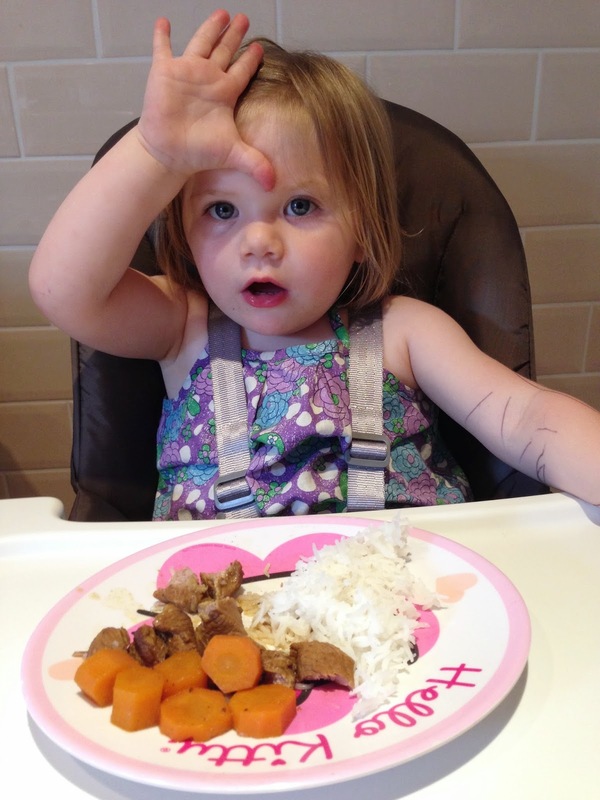 Our previous high chairs have all been ones that sit up to our dining table so it was quite novel for Evie to have a table of her own. It has been great for crafting sessions with her big sister; being sat in her highchair with her own pens and glue etc has prevented lots of arguments and also helped contain the mess! This is where the Seedling is great; after keeping your little one occupied and making a mess on the top layer of the tray, you can simply remove it to clean later and serve a meal onto the lower tray. Ditto if you are having two courses - you can utilise both trays and not have to worry too much about cleaning it after dinner/before dessert. 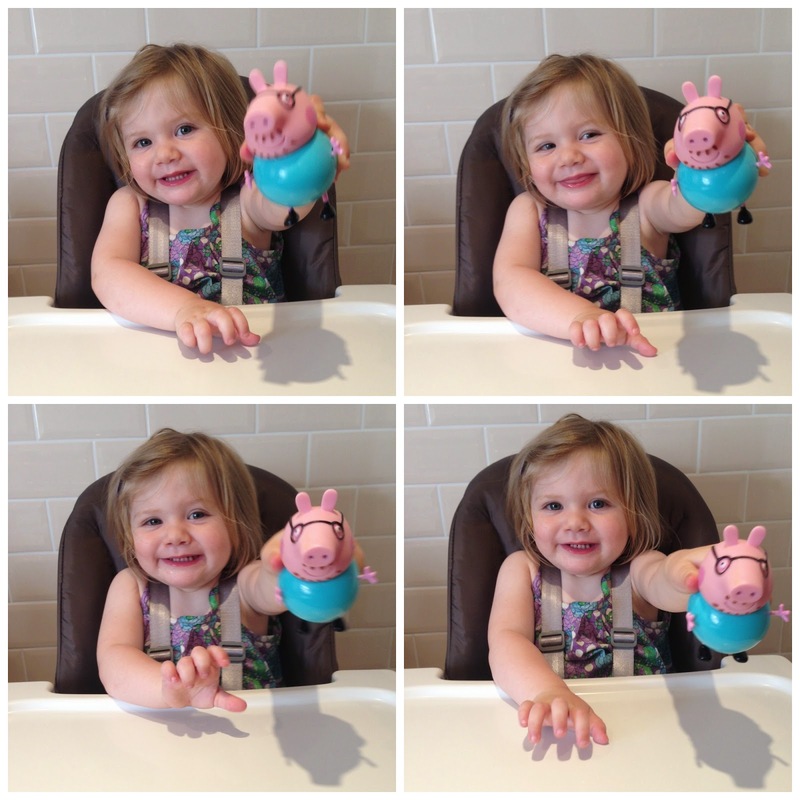 However I do miss having Evie up to the table with us at mealtimes and feel like she's a little out of the loop being set back from the table on her own! Despite it's size, I do love this highchair. I'm more than happy to move it about to get to cupboards etc in my kitchen because it's features are just so brilliant and I know Evie is super comfortable in it. It's available in three colours; graphite, green or mocha (we have the latter) and is available online from OXO here for £159. We were sent one for free, for the purpose of this review. Just thought I would point it out to you since this is disgusting behavior (they have not even credited your website), profiting of your photos. A DMCA takedown notice is often all it takes to get the owner to take it down. Google also has a take down procedure to stop the page from appearing in their search results. 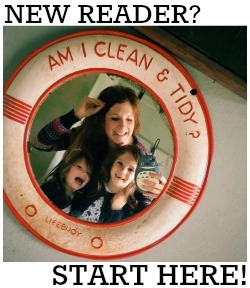 Anyway, keep up the awesome articles!